If one could say there was an astrological representation of God or a Higher Power, it would be the planet Jupiter. Jupiter is by far the largest planet in the Solar System and astrologically is termed “The Great Benefic”. This term of beneficence assigned to the King of Planets is both symbolic and literal. Astrologically, Jupiter symbolically represents blessings from a Higher Power, opportunities or bestowments which hold the potential to materialize into great gain or benefit for us on Earth, as well as the archetypal virtues of Faith and Hope. The gargantuan planet also benefits Planet Earth and those who reside here quite literally by acting as a buffer with its mighty magnetic fields, so that our tiny bespeckled blue marbled home is not barraged and pulverized by every large sized asteroid or wandering space boulder. As I write this piece, The Great Benefic is currently located in the sign of Taurus, which rules over all that is material, especially those materials which hold value or worth, most especially, anything monetary. Under the Bull’s domain we find such monetarily based things as money itself, the banking industry as a whole, and anything related to the stock market, including investments both bought and sold. This will be a key factor to remember, given that at the time of Elie Wiesel’s birth the King of Planets was positioned in the Heavens in the sign of Taurus, along with the fact the human source of Wiesel’s 2nd Trial of Faith was not only born with his Sun in Taurus, but natally has a stellium of 3 other planets positioned in the sign of the Bull as well. Keeping the same mindset, if Jupiter is God, then Saturn is the Devil. Termed the “The Great Malefic”, Saturn is the planetary Simon Le Gree which foils Jupiter’s God-like, superheroesque image, by ruling over Man’s greatest fears, restrictions and inhibitions. As stated in Part I, at the time of Elie Wiesel’s birth on September 30th, 1928, the Ringed Planet was placed in the Heavens in the sign of Sagittarius, a karmic indication hinting that the greatest tests of the soul would lie within the domain of one’s philosophy of Life. Plus, by virtue of the sign’s mutable quality, this testing would occur on more than one occasion over the course of the lifetime of the person born with The Great Malefic placed in the sign of Faith, Hope, and Optimism. When one is born with Saturn natally placed in the sign which is ruled by The Great Benefic, aka Sagittarius, the role of The Devil is played by The Big “G” Him/Her/Its Self, and God becomes the soul’s source of relentless anguish and unanswered pain. Howard Sasportas in his book co-written with my astrological mentor, Liz Greene, “Dynamics Of The Unconscious” describes Saturn in Sagittarius as the fear of bearing “the burden of consciousness”. The old school Sagittarian pasttime of “philosophy” takes on an entirely new and painful meaning with this Saturnine placement. The person born with Saturn in Sagittarius will grapple with God over regular philosophical meals which usually commence with “Why do bad things happen to good people?” served as a cold appetizer before the double course of non-resolution is served, not necessarily hot but heated to be sure. The first portion being the probing hunt which searches for the purpose behind the person’s own individual existence and the final course consisting of the relentless desire to grasp the meaning of Life, overall. As can be inferred, the Saturn in Sagittarius person seems destined never to leave this philosophical meal either morally satisfied or in any way philosophically satiated. The existential purpose behind the meaning of Man is a common source of inner angst shared by many born with Saturn in any of the fire signs. Some of the best concrete examples of this Saturnine psychological state of mind are the works of Viktor Frankl, an Aries born with Saturn in the same fiery sign. Like Elie Wiesel, Frankl endured the Hell of Auschwitz and his philosophical search for meaning during his post-War years moved him to write some of the greatest psychological literature of the 20th century. His books “Man’s Search For Meaning”, “The Will To Meaning”, and “The Unheard Cry For Meaning” form the core of Logotherapy, a psychological therapy of existential analysis created by Frankl which focuses on a person’s “will to meaning”. What better than two quotes from Dr. Frankl’s seminal work, “Man’s Search For Meaning” to begin the analysis of Elie Wiesel’s Second Trial Of Faith. The world had just been enlightened of Bernie Madoff and the worst case of financial fraud in U.S. history. Including fabricated gains, the total dollar amount of lost funds in Bernie Madoff’s Ponzi scheme was $65 billion (yes, with a “B”) dollars, which included not only all of Elie Wiesel’s life savings, but all of the funding for The Elie Wiesel Foundation For Humanity, which totaled $15.2 million was wiped clean as well. What is so powerfully painful about this trial of faith for Wiesel, who in the early part of his life had everything and everyone forcibly removed and taken from him, is to have this devastating theft of all that was monetarily material not only occur during his twilight years, but for it to be committed by a fellow Jew, and a remorseless one at that. A Jew who also claimed to be “philanthropic” and dared to discuss ethics with the Nobel Peace Prize winner during the first of only 2 meetings together. In rebuttal to the criticisms of non-forgiveness, it must be mentioned that the loftiest title bestowed upon Mr. Wiesel, Messenger To Humanity, contains the word “Human”. Elie Wiesel is just that, and I believe one would be very hard pressed to find any given human within the population of the planet who in the initial months following the shock of learning their entire life savings amassed over 40 years was completely eradicated could be so easily forgiving of those who were responsible for such a devastating loss. None of us can change the misfortune that has already come to pass on Elie Wiesel. But despite the sting of realizing a man who had already witnessed so much suffering had to very recently undergo yet another trial of such severe, overwhelming loss, the astrological Universe hints of karmic reconciliation. When Bernie Madoff’s Ponzi scheme was made known in December of 2008, Saturn was in the later degrees of the sign of Virgo. Despite a difference in signs, given Elie Wiesel’s Sun is in the early degrees of Libra, Saturn was within wide enough range to directly affect him. By the time Saturn entered Libra at the time of my hearing his interview on the radio in October of 2009, Mr. Wiesel could have easily portrayed himself to be Saturn’s Libran poster spokesperson who was thoroughly well versed with that planet’s influences of restrictive loss drenched with restrictive fear and inhibition. Instead, the Messenger To Humanity transcended his individual woes by focusing on what the world stood to gain at that moment in time. At the beginning of this piece, I mentioned how Jupiter is currently in the sign of Taurus and shall continue to be until this upcoming June. I also mentioned how Jupiter can symbolize bestowments, especially those which carry the potential of yielding beneficial gain at some point in the near future. Furthermore, I described Taurus as the sign which oversees money. More specifically, the sign of the cash cow and of bull markets rules over any and all investments of a monetary nature. In what appears to be the most supreme of ironies, the human representative responsible for the Nobel Laureate’s Second Trial of Faith was born with his Sun in an EXACT conjunction in the same sign as Mr. Wiesel’s natal Jupiter AND natal Chiron. Said another way, not only was Bernie Madoff born under the same sign that Elie Wiesel’s astrological representation of God was placed in, but the Sun of the financially notorious criminal is at the exact same degree as the vessel of Truth’s natal Jupiter and natal Chiron, an asteroid which symbolically is the astrological representation of Pain itself. All are joined together in the sign of money, the material, and of investments, Taurus, at the 8th degree, a number which represents death, transformation, and “other” people’s money. Elie Wiesel’s financial (Taurus) investments (Jupiter) were destined to cross paths (conjunction) with Bernie Madoff’s person (Sun) and experience exorbitant pain (Chiron) through a massive (Jupiter) misappropriation of funds (Chiron’s influence amplified by its exact conjunction to Jupiter in Taurus). The exact conjunction of Wiesel’s natal Jupiter and natal Chiron with Madoff’s Sun at the eighth degree of Taurus paints before the world a true Passion Play, made complete by the union of these 2 men, who at their core are karmic foils of each other. Numerologically, the number 8 deals with death and other people’s money, but just as importantly, 8 is also the number astrologically associated with transformational change that comes from the deepest levels of the soul. With one person’s Jupiter and Chiron joined with another’s Sun at the 8th degree of Taurus, the stage of the passion play is set. The earnest good and insidious darkness of Man are joined together in the sign of materialism and money, resulting in all parties being poisoned by the pain of endless consumption brought about by the Black Hole of Greed. Jupiter’s Passion Play ends with our two diametrically foiled leading men, both left with nothing, or perhaps it’s karmicly better to say, both are left with no-things. On one end of the cosmic spectrum, one foil is a man devoid of all tangible assets, but left even more karmicly sound than ever before, which in turn, hints of a bright future for his soul, made even more luminescent by the power of reconciliation. On the opposite end, the passion play’s curtain falls on the other foil who is left a mere husk of a man. Since his tangible assets were his soul, the removal of all things monetary renders him devoid of his humanness, resulting in the inability to feel any kind of remorse, which in turn, leaves him reconciled in knowing there is no future for him, whatsoever. Mr. Wiesel is currently experiencing his “Jupiter Return”, a most advantageous time when Jupiter returns to the sign it was positioned in at the time of a person’s birth. The placement of the asteroid Chiron in the birth chart represents the principle of Pain, but the Zodiacal sign the space rock is placed in at the time of one’s birth also dualistically symbolizes the area of Life where a person has the greatest potential to heal oneself once that core Pain subsides. With Chiron’s placement being in the sign of the Cash Cow, Taurus, I firmly believe that not only will the Messenger to Humanity recover most, if not all of the monies he and his foundation have lost, but that Elie Wiesel’s soul will eventually be able to find forgiveness for Mr. Madoff’s, regardless of the latter’s inability to feel its humanness through the emotion of remorse. 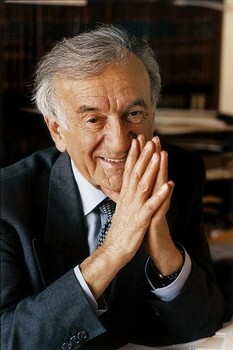 The North Node – Elie Wiesel’s North Node, or overall karmic destiny, is in the sign of Gemini. The Hindus believe if one is born with their North Node in Gemini, they are truly blessed, since Gemini rules over one’s every day, ordinary world and the soul will evolve simply by existing there. Given how extraordinary Elie Wiesel’s every day world has been over the course of his life, we can only imagine how immensely vast his leaps of evolutionary growth have been which his soul has already accrued thus far. The Moon – Elie Wiesel was born during a Full Moon, a time when the Moon is positioned in the polar opposite sign of the Sun and is fully illuminated in the evening sky. Through his actions, and more importantly, reactions of “choosing his own”, the man who time and again has consciously transcended his personal needs for the awareness or better good of all, serves as a beacon of evolved light for not just his own individualized Night, but for all of ours as well. Like Zacharias, Elie Wiesel’s tests of faith are destined to dissolve and his anguish shall be lifted. By virtue of his noble actions and evolved reactions to the trials he has faced, The Messenger To Humanity’s prayers, which have yearned to know philosophical peace with both God and his fellow Man shall be heard and Temperance shall soon soothe his soul.